Contact Jeffrey Masich, Realtor for more information about selling an existing residential care home, assisted living home, group home or purchasing a residential care home, assisted living home, group home or information for children and parents when 24 hour home care is needed. Many licensed Assisted Living homes for sale are sold on a private non listed basis or under a submerged address as the businesses are ongoing. These businesses are usually shown only to 'qualified buyers' that have revealed to the Seller their cash purchase capability or financing available to make a purchase. Sellers usually do not want non qualified buyers walking through their facility. Usually a lender will require at least 25% down payment or more to make a purchase of an ongoing business. A Buyer should be prepared to reveal their purchase capability to Jeffrey Masich before getting started at reviewing properties. If selling an assisted living or residential care home, confidentiality is important and Jeffrey Masich, as an MBA, Realtor and Associate Broker can help a Seller. If a Buyer wishes to acquire their first Residential Care or Assisted Living Home or another Assisted Living home, Jeffrey Masich can review several different options and alternatives. From time to time there are vacant licensed facilities that have become available, although this is not as common. If you are interested in acquiring a home that may be suitable for assisted living and obtain your own license, see some larger senior group or various assisted living home possibilities for conversion for sale in Arizona now: Group Homes For Sale in Arizona . Alternately, here are larger 6+ Bedroom Homes For Sale on 1 Level in the Phoenix metro that are more suitable for conversion to a licensed Senior Assisted Living Home. Acquiring a home and licensing it and staffing yourself is less expensive for a Buyer than purchasing an ongoing licensed facility with staff, residents and systems in place. 1. CONVERSION to ALH (Least Expensive) Buy a home suitable for Assisted Living and convert and license and start up by Buyer and get licensed through Arizona Department of Health Services. See larger 6+ Bedroom homes on 1 level in the Phoenix metro or ask Jeff Masich for more homes to see. 2. VACANT ALH (Mid Expense) Buy a vacant licensed Assisted Living home. Not many of these, so ask Jeff Masich. 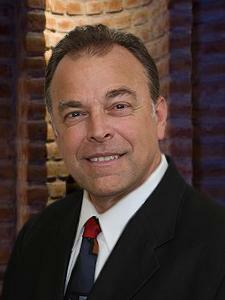 Jeffrey Masich would be pleased to help you in any of your Real Estate needs in Arizona. 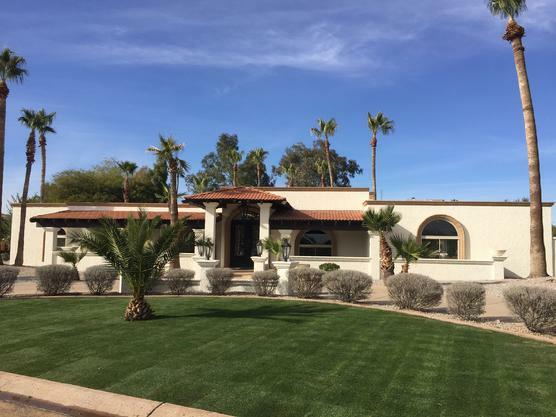 For more information on this Luxury 10 Bed Licensed Assisted Living Home for sale for $1,395,000 in Scottsdale Arizona (near Paradise Valley), see link or call Jeff Masich. This is a confidential listing, so a signed Non Disclosure Agreement and proof of funds or funding is required by Seller to share details and prospectus. If your aging parents are at the stage of life where 24 hour care is needed, a senior group home is wonderful alternative to the institutional facilities. Group Homes often offer a home like feel, 24 hour staff, home cooked meals and private and semi private rooms. There are often common areas for TV, reading, or sitting by or in a garden. A place that feels like home. Visitors are welcome. The smaller number of residents also contributes to more individualized care and warmth. Jeffrey Masich can help you as a buyer or seller of an existing group home facility. These homes are regulated by the State of Arizona and require licensing and management by qualified licensed individuals.